Thanks!! It is terribly hard I assure you!! Kenley this is just so precious. I love it!!! Being a fur mommy is the best! He is the cutest! I want to put him in my own shopping bag and sneak him home. 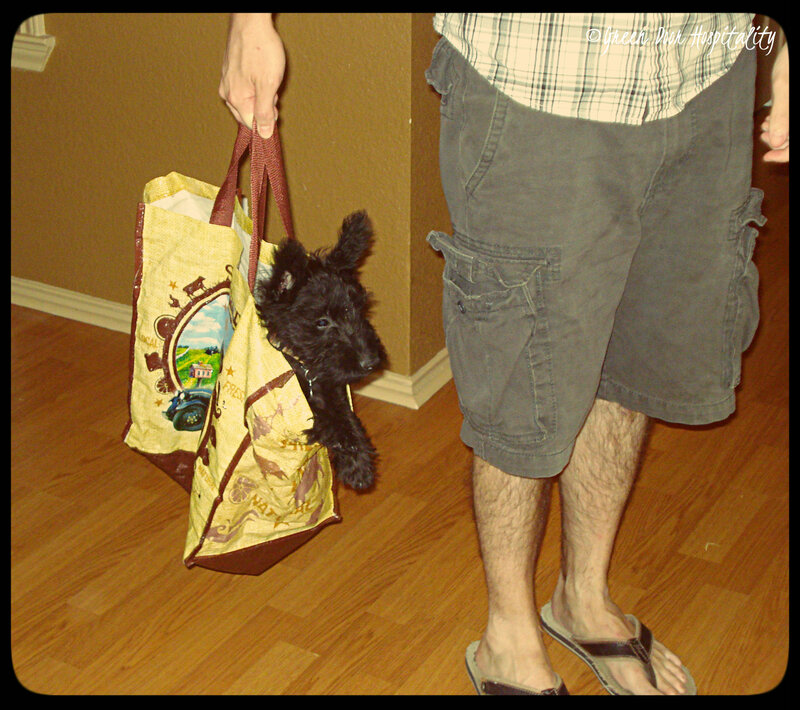 This entry was posted on October 23, 2013 by Jessica Romigh in Wordless Wednesday and tagged Dewars, dog, photography, puppy, Scottish Terrier.